Social casino apps are games. These games, such as Hit It Reach slots and the WSOP Facebook app, simulate gambling, but players have no opportunity to win real money. They are part of what Gerard Goggin and I have termed ‘Mobile Social Gambling’ a new form of gambling media that combines gambling, social networking and social gaming, while also taking advantage of the affordability of mobile media devices, networks, applications, and touchscreens. In social casino apps you can communicate with and compete against your social network contacts. Social casino apps are played either on stand-alone apps for iOS or Android, or social networking sites like Facebook. Social casino apps are hybrid gambling platforms. They incorporate the visual style and basic gameplay of traditional gambling forms like slots or poker. But, also structural characteristics of video games, such as avatar creation, leaderboards, and reward and punishment features. These apps highlight the ‘fun’ aspect of gambling, masking the fact that players cannot recuperate their investment. Social gambling is not entirely free. Granted, you don’t always have to pay in the traditional sense. But players invest other types of capital, such as time and, most importantly, social networking influence and contacts. Social casino games generally operate on a ‘freemium’ model. Play is free, but players can use real money to purchase extra ‘credits’ or features. Credits that would otherwise be available only through extended gameplay. Pretty much what happens in games such as Candy Crush and Angry Birds. Since social casino apps are not considered gambling, however, social gambling operators are not required to be transparent on how outcomes are generated and how the game works. Outcomes might depend on each player’s individual experience and gaming patterns. Social casino apps are a highly profitable market. In a 2012 blue paper, Morgan Stanley Research estimates that the social gambling in the US is a USD $1.7 billion industry within the USD $392 billion global gambling industry. This figure could reach USD $7 billion by 2015. Most social gambling players come from North America (39%) and Europe (26%). It is important to note that these figures differ from the social gaming industry in general, where Asia accounts for 36% of users. This is an indication that social gambling is most alluring to users in North America and Europe. Although this practice is also highly popular in Australia, where the slots app Slotomania was the most downloaded product in the iTunes store in 2012. Among the main stakeholders in the social gambling industry, Morgan Stanley identifies Zynga, which has a 45% share of all social gambling players; slot machine manufacturer IGT, which has a very successful social gambling division; Double Down Interactive, and Caesars, which acquired Playtika, creator of the popular Slotomania. This consolidation has involved other key players in the gambling industry. Companies such as WMS, which launched Lucky Cruise Social Casino, a social casino that operates on Facebook. As well as slot machine giant Aristocrat. This company acquired Product Madness. A top five operator of slot games on Facebook, with more than 500,000 daily active users. In 2013, the top social gaming companies founded the International Social Games Association ( http://www.i-sga.org/ ), which acts “as a unified and consistent voice to represent the legal, regulatory and commercial interests of social games companies worldwide. From established global operators to up-and-coming startups, at a time when many changes in the way millions of people access, play and pay for games are taking place.” Members include companies from both the traditional gambling industry and the social casino industry. Companies including Zynga, Slingo, Playtika, PlayStudios, MGM, High 5 Games, Gamesys, Big Fish Games, Aristocrat and AbZorba Games among many others. 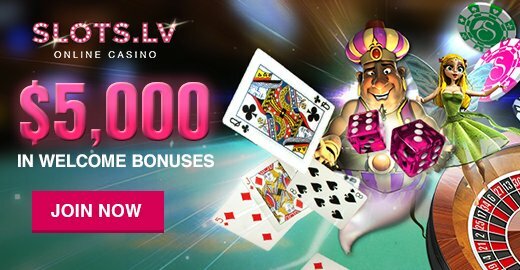 In a further crossover between the entertainment and gambling industries, Dutch media company Endemol (best known for developing successful reality TV concepts Big Brother and Deal or No Deal) has invested more than USD $10 million dollars in social casino company Plumbee. 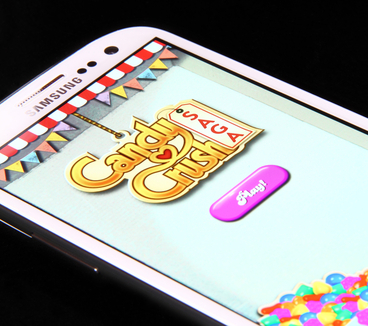 Endemol intends to brand social casino apps with its successful transnational concepts. This market consolidation extends to the video game industry. In early 2014, Atari, a cultural icon in its own right and a pioneering company in the video game industry. However, has been struggling financially in recent years. They announced the launch of Atari Casino in association with virtual games company FlowPlay. Atari Casino is a series of social casino games such as poker and blackjack themed after classic video games such as Asteroids, Centipede and Missile Command. The games will be available on Facebook and mobile platforms. Atari CEO, Fred Chesnais, explained the move as follows: “Entering social casino gaming is a logical next step for us given its appeal across multiple generations and its natural fit with the casual audience.” Atari has also announced plans to move into the real-money gambling market.